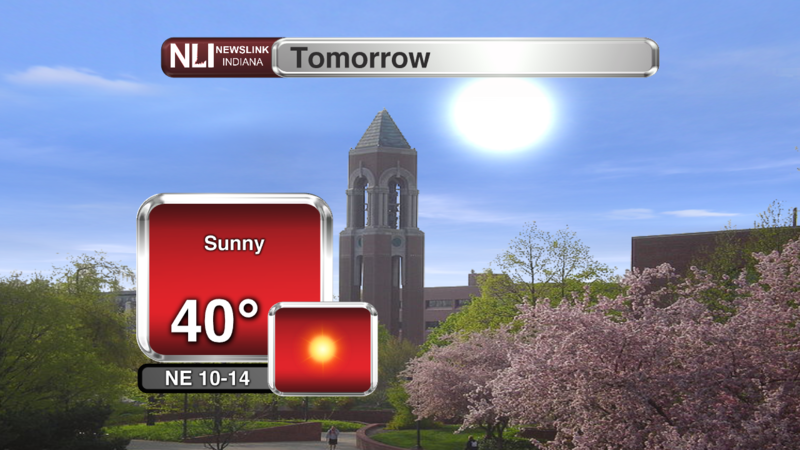 Warm temperatures return for the weekend. 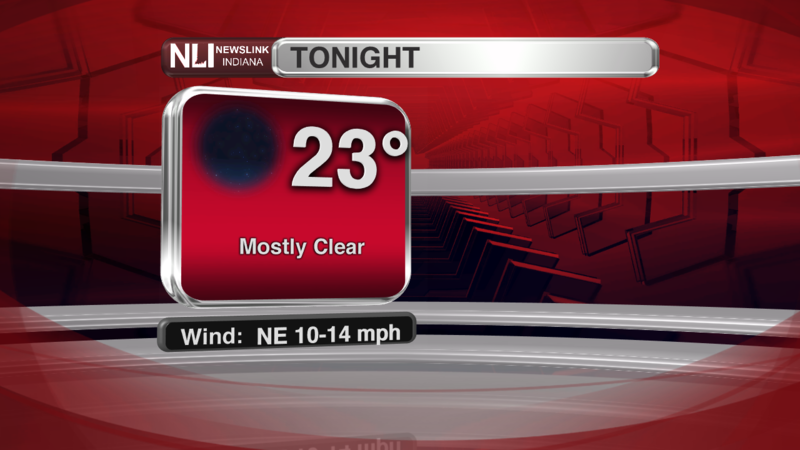 Tonight: It will be rather cool out there tonight, with a low dropping all the way down to 23 degrees with clear skies and a northeast wind between 10-14 mph. Be prepared to scrape off the windshields tomorrow morning as temperatures will reach below freezing. Wednesday: The sun returns on Wednesday with clear and sunny skies, but temperatures will only reach up to 40 degrees with a wind coming out of the northeast at 10-14 mph. The cold temperatures won't last long though as a warm-up is expected later this week. Wednesday Night: It will be partly cloudy with a low around 24 degrees on Wednesday night with a calm wind coming out of the east at 7mph. 7-Day Forecast: On Thursday, the temperatures will start to warm back up to 50 degrees with mostly sunny skies with a low only reaching 45 degrees. Then the spring-like temperatures continue to rise throughout the rest of the weekend and into next week. 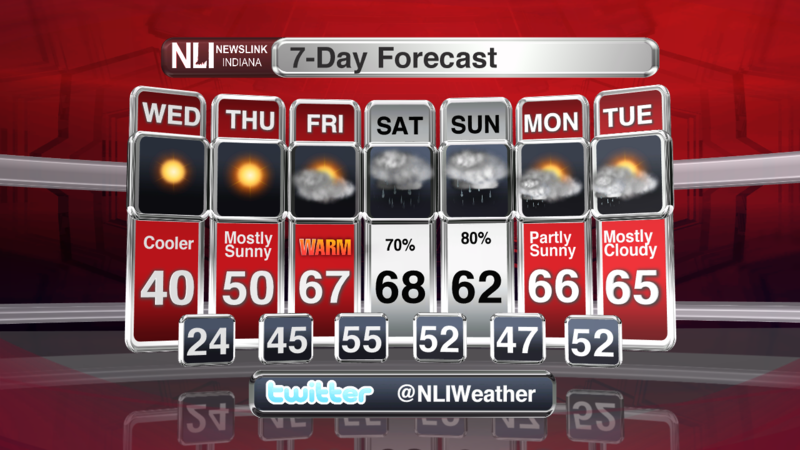 The high will be 67 on Friday with mostly cloudy skies and a low reaching 55 on Friday night. On Saturday the rain chances return for the weekend with a few thunderstorms possible on Saturday and Sunday with a High of 68 on Saturday and 62 on Sunday. The rain chances will continue into Monday and Tuesday along with the warm weather. Have a great rest of the week!